Itzy Ritzy Moc Happens™ Leather Baby Moccasins are made of super soft, durable and breathable leather with an elastic opening for easy-on and easy-off. 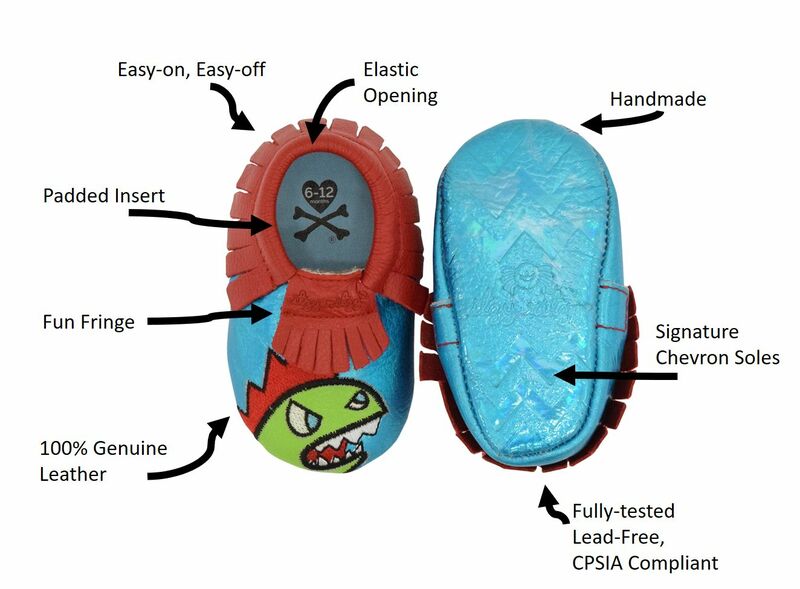 Removable padded insert for comfort and to extend the life of the shoe as baby's foot grows. Signature Itzy Ritzy chevron embossed soles for style. Chic and adorable designs that your little ones will absolutely love it!